A recently renovated historic village pub in the heart of North Devon, we offer both a pub and restaurant menu. The restaurant, under the direction of Chef Ian Webber, is a modern take on British flavors. Ingredients are sourced locally, foraged seasonally and carefully prepared with a focus on bringing out the best in each. Our restaurant menu is served in two of our beautiful dining rooms, or we have a private room for parties of up to 10 people. We have a thoughtfully selected wine list, seasonal cocktails and local beers and ales. The pub offers a traditional menu of fish and chips, cottage pies, sandwiches and more. This menu is available at our cozy bar tables, in the traditional pub. Sunday lunch is a three course, sharing meal. Starting with soup and snacks, followed by two meats, vegetables, all the fixings and desserts. It is a wonderful way to spend the day with friends and family. Please contact the restaurant directly for reservations for parties of 6 or more, or to book a table in the pub. Best Sunday lunch l’ve had in a very long time. Every bit of it was delicious! A special place to dine, the food was excellent and certainly different. Our only little moan was having booked the table for 7.15, we waited until after 8 for the starter to arrive, and there followed a long wait for the main. We appreciated that food is cooked to order, nevertheless it was a long time coming. The men thought the portions small! Otherwise the service was polite, informed and friendly. Excellent food and service! Can’t wait to go again! Lovely comfortable surroundings with  friendly knowledgeable staff, serving superb food that is visually a delight and has a pleasing assault on the taste buds. I loved the unusual ingredients which enhances the food and makes the dishes offered unique. Wonderful food, dynamic flavours. A most enjoyable evening. Thank you. Sunday lunch is a wonderful social experience. I took my mother for mother’s day and it was perfect. Really enjoyed our meal. Beautiful venue and perfect service. Thank you, look forward to eating at The Farmers again. Beautifully decorated, great atmosphere and wonderful food. Will definitely return in the future. Had a wonderful lunch here last week with friends. Service was attentive but not intrusive, all requests were met without problems. Very tasteful & sumptuous furnishings and last but by no means least....the food was hearty, delicious & not overpriced!! 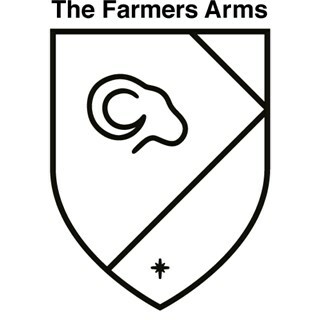 I have already recommended the Farmers Arms to a number of friends. Fantastic food, setting and service! Loved the way the Sunday Roast is presented, great value for money. Will definitely be back! A fabulous lunch in a relaxed setting. Probably the best Sunday Lunch we’ve had. In particular the rice pudding was just like my mum used to make! ... other than I wish you were 30 minutes nearer to Ilfracombe, our only comments are 'What a fantastic experience - great service, the food was delicious and a very smart oldy new pub to enjoy it all in'. What a wonderful place striking the perfect balance between a local country pub and a really top end remarkable restaurant. An incredible meal using exciting and interesting seasonal local ingredients. Truly offering something different the like of which I cannot think I have experienced in Devon before. Will return very soon. We were blown away by the beautiful Sunday lunch we had. Was not expecting something so different. A three course lunch for £20 per head. We really enjoyed our lunch which was both delicious and relaxing. With good quality food and so much choice. The staff were outstanding making us feel welcome from the moment we arrived. We have not stopped talking about our visit since. Thank you to Duncan and his team. Can't wait for our next visit. I must praise your staff, they are extremely attentive, friendly and will go the extra mile for clients. My only minor gripe is that the beef and pork are indistinguishable  - both being the same colour.... and twice now No Crackling ! It is usual for German pork to be skinned before delivery but your staff assure me that the meat is sourced locally - therefore it seems there is no reason why crackling should not be served ? A lovely place to go for good food. Truly beautiful food, in a beautiful setting. We absolutely loved every minute. The food was exquisite! Next time we shall try a bar meal as that menu looked good too. Staff are wonderful and the atmosphere is relaxed. Great to see locals using it as their local, bar prices should mean it will stay a local. Worth going to just to admire the workmanship of the make over, it is fantastic. 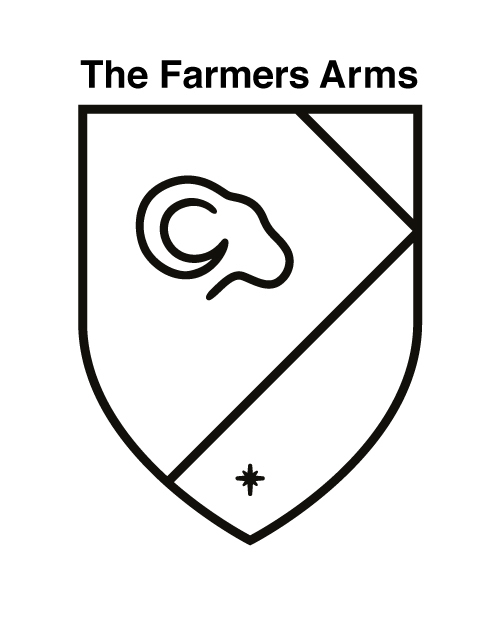 We’re very pleased to have discovered The Farmers Arms. Wonderful friendly service, we dined in the restaurant . I felt that the food was a little over fussy and in some cases over seasoned. There were a lot of elements on the plate which I felt distracted and over powered the main ingredient My mallard starter was very salty. The halibut dish  came to the table Luke warm which was a shame . My husband enjoyed the liquorice beef dish. The chocolate quenelle dessert was lovely and we finished  complimentary freshly made petite fours. We will definitely return and try the pub food and Sunday Lunch menu next time..